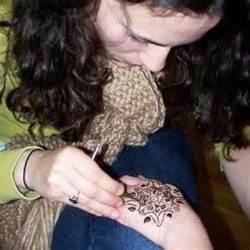 We also provide mehndi and tattoo making classes to our clients. - Learn to tattoo. If you have the drive and the ambition to become a tattoo artist, you will. If you are reading this, you already know how hard it is to get a tattoo apprenticeship course at a tattoo studio. Well now you have another option. For those who wants to get into this inking business, can get themselves trained under Ripz tattoo and Piercing. The training sessions are specially taken by Ripz himself, which includes step by step inking techniques, operating the gears and tattoo aftercare. We are engaged in offering tattoo services such as tattoo training and hygenic tattoo studio where you can experience of your uniqueness. Tattoo Making classes by Angel Tattoo Design Studio. Contact us for basic to advance permanent tattoo making courses. Well experienced tattoo artists. Tattoo center with most updated tattooing facilities. Contact us for tattoo training fee details and other facilities. if you are looking for Tattoo Training courses in Udaipur then Ink Rider is the perfect place for learning Tattooing. Here are step to step guidelines, methods, technical approach and many lessons about tattooing. There are many techniques which we cover during tattoo course. Welcome to the Mirage Tattoos, Best Tattoo & Piercing Shop, Studio, Parlor & Training Institute in Dwarka, Delhi. We provide the training for tattoo making in two differnt stages, one is for the beginners and one is for those who have the basic knowledge of tattoomaking an want to take on carreer in this beautiful artistic field.We prepare our tranees to create a beautiful lifelong body assest on customer's skin. Tattoo Training Institute in JAIPUR providing classes with complete courses in the art of making tattoos around JAIPUR, India. Call:95 10 77 88 11Visit instagram : phoenix_tattoo_tusharVisit Google , facebook to see our Work profile.Contact Us For Best Tattoo experience.Phoenix tattoos is One of the finest tattoo studio and training center in Town.U will get best quality work with unique designs and ideas. Get Professional tattoo training and Become Professional tattoo artist. If you're serious about becoming a skilled and competent artist, this is what you need to do.Just need to join us. Body Arts provides a complete journey of a person from a beginner to professional Tattoo artist. we provide a complete package of training which includes Tattoo making, sketching, safety precautions and marketing aspects etc . If you are a budding artist trying to learn the tools of this trade, this is the best place place for you.